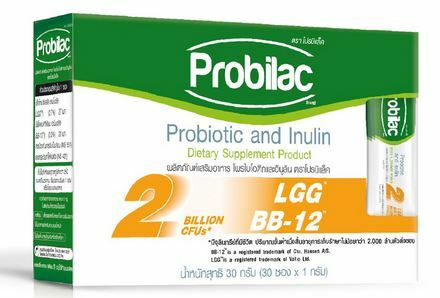 Thailand’s Dutch Mill unveiled the new Probilac dietary supplement product and UP yogurt drink at the recent Thaifex 2017, which ended on 4 June 2017. Probilac is a dietary supplement with probiotic and inulin with Bifidobacterium (BB-12) strain, the world’s best documented probiotic Bifidobacterium from Chr. Hansen and Lactobacillus GG (LGG), the king of lactic acid bacteria by Valio Ltd. Each pack contains 2 billion colony forming units (CFUs). The dietary supplement supports digestive health and is ideal for the family. Probilac is available on Trustybuy for a price of THB 825. Click here to purchase. 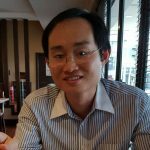 Dutch Mill UP was already in the market even before Thaifex 2017. The yoghurt drink contains 2x protein and high in calcium. It is aimed at young adults who desire to achieve a healthy lifestyle and body shape. Aside from the funny TV commercial, which Thailand is famous for, we are seeing an increased focus on marketing higher level of protein in yoghurt drinks (eg Dutchie Greek Style Yoghurt drink and UP yoghurt drink, all with 2x protein) and linking these drinks with body shape and fitness.